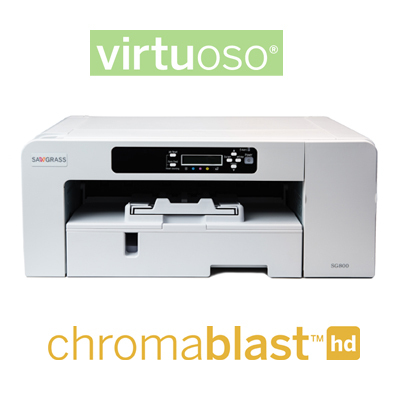 ChromaBlast® Virtuoso® SG 800 Printer 11”, for ChromaBlast® Cotton Decorating ONLY. Ships with Conde InkMinder Panel. 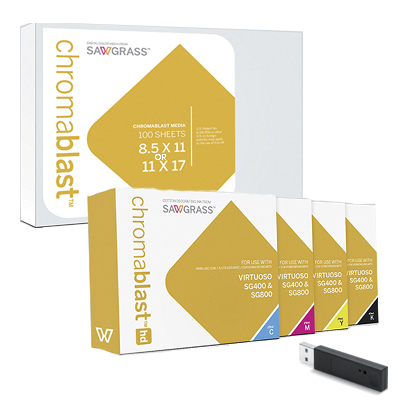 Must also purchase the ChromaBlast Installation Kit (414090AM), sold separately. MAC OS 10.5+, Windows XP/Vista/7/8(32/64). 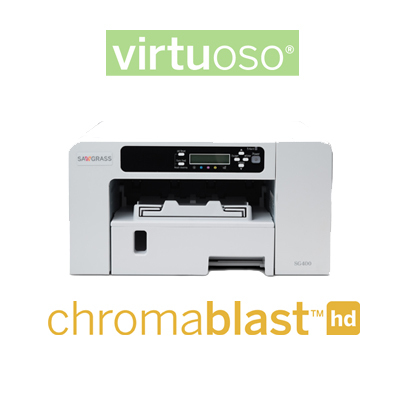 Sawgrass® Virtuoso® SG 400 Printer 8.5”, for ChromaBlast® Cotton Decorating ONLY. Ships with Conde InkMinder Panel. Must also purchase the ChromaBlast Installation Kit (414090AM), sold separately. MAC OS 10.5+, Windows XP/Vista/7/8(32/64).